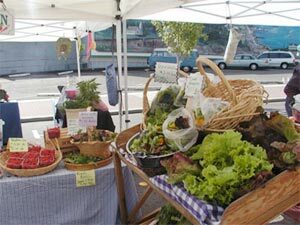 This is our Kaleberg Farmers' Market fan site - for the real Port Angeles Farmers' Market site, click here. 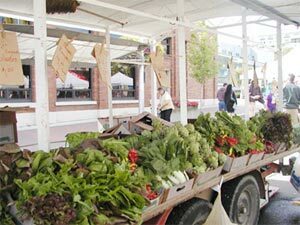 The Port Angeles Farmers' Market now has a real, official web page. 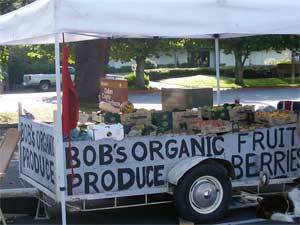 This web page is maintained by the Kalebergs and reflects our love of good vegetables and dairy products. 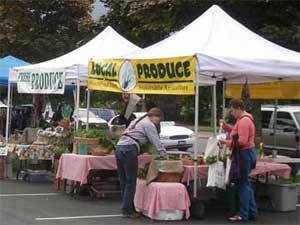 The Port Angeles Farmers' Market is held on Saturdays in the Clallam County Courthouse parking lot and highlights locally grown produce, crafts and other food products. 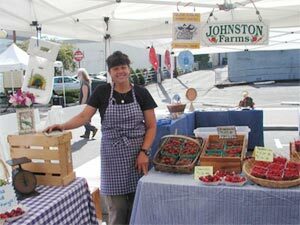 Farmers may come and go, but the market is anchored by Nash Huber, Christy Johnston and the Vanderhoofs West Wind Farm. 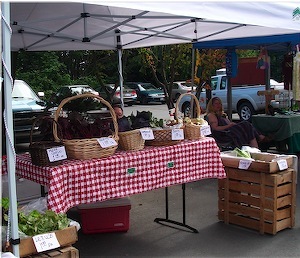 Clallam County produces some of the nation's finest dark leafy green vegetables, including broccoli, kale, chard, and brussels sprouts. 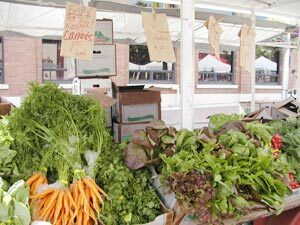 You can usually find local potatoes, red, white and blue, and lumpy looking Ozettes which were introduced by the Spanish directly from South America. 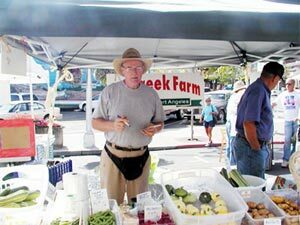 In the summer, Dry Creek Farm sells their organic eggs, but many of the farmers sell eggs all year 'round, so do ask. 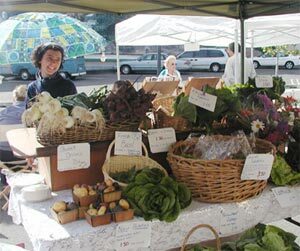 Depending on the climate and season, you can find tomatoes, garlic scapes, strawberries, pears and wonderful spinach and arugula. 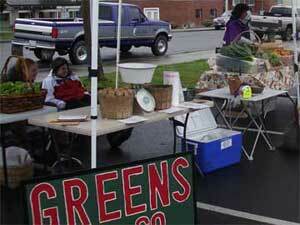 The farmers are not the only ones setting up tents. 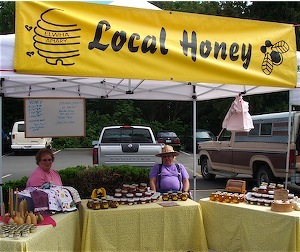 You'll also find the Elwha Apiary selling honey, local craft vendors selling soaps and lavender products, and a variety of baked goods. 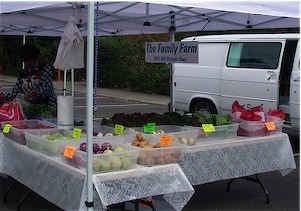 Needless to say, the best times to come are in the summer and fall, but local farmers have produce throughout the year. It's always worth dropping by.